The diva slayed the red carpet in a red strapless gown from Gaurav Gupta. 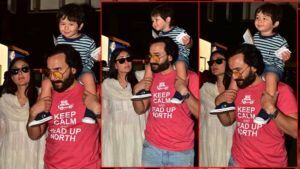 The 'Padmaavat' actress raised the temperatures at the Zee Cine Awards 2019. 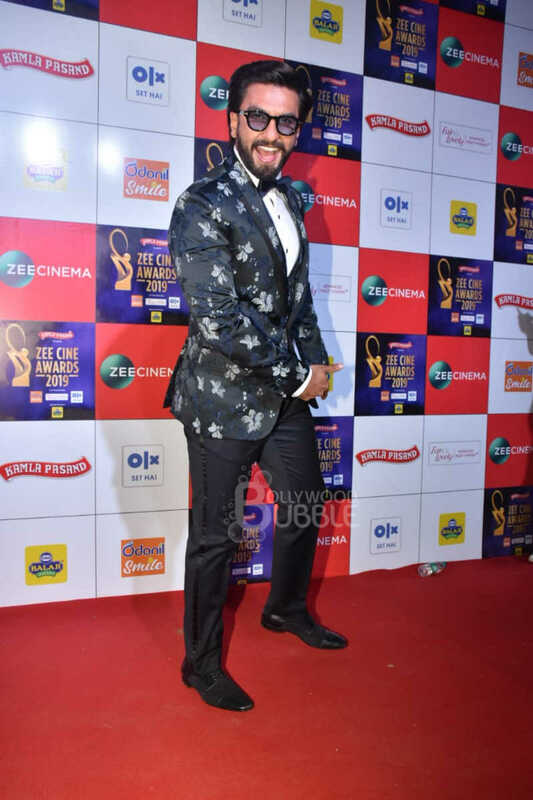 Ranveer Singh did not leave his fans disappointed as he graced the red carpet in a floral suit that he had accessorised with quirky glasses and a bow tie. Katrina Kaif, in a floral printed gown with a gold belt, brightened up the night with her dazzling look as she oozed glamour. 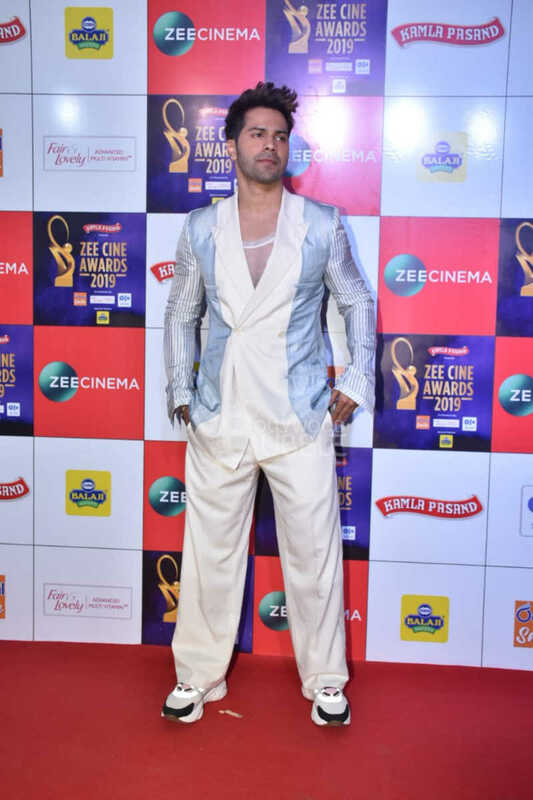 The hunk's look for the night was the biggest disaster. We do wonder what he is wearing. The pants look like he has borrowed it from someone double his size. 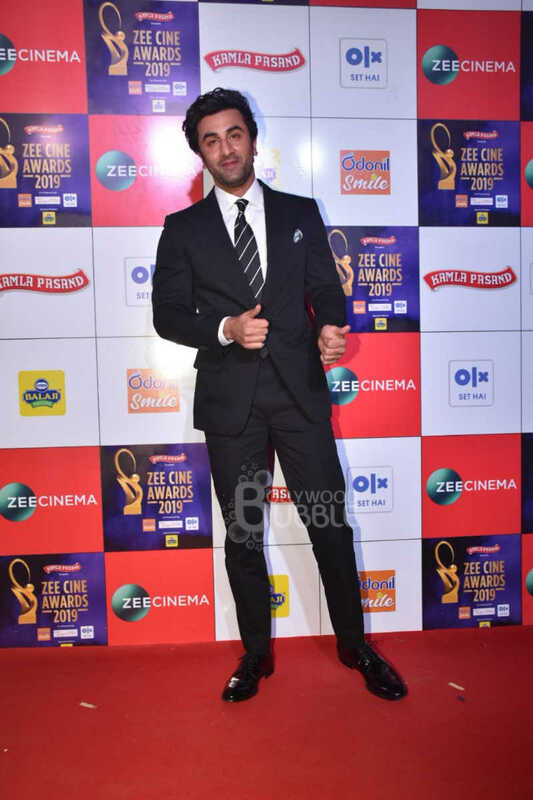 Ranbir Kapoor, as always, was his dapper self in his formal suit and we loved the dashing star for his charming smile. 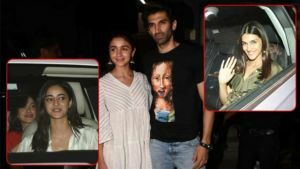 The 'Raazi' star, dressed in a floral embellished gown from Celia Kritharioti, looked at her charming best. Janhvi Kapoor graced the red carpet wearing a red Atelier Zuhra gown the Dhadak star looked super cool in the fitted bodice ball gown that opened into a full skirt that had scattered mirror work appliqué. The fashionista of Bollywood graced the Red Carpet in a ice blue satin Maison Yeya gown with a dramatic cape. The colour and the style left us a tad disappointed. 'Luka Chuppi' actress Kriti Sanon graced the awards in a two-tone Amit Aggarwal gown. We were a tad disappointed with her style for the evening. She could have done much better. Madhuri Dixit was a vision in a black off shoulder dress with an embellished neck line. Malaika Arora grabbed eyeballs with her thigh-high slit red gown from Julien Macdonald. We love the way she flaunted her curves. Ankita Lokhande, in a pink gown from a bygone era, left us disappointed as we hoped for much more from the beauty who marked her Bollywood debut with Kangana Ranaut starrer 'Manikarnika'.